Malaysia is a country filled with rich culture diversity and historical backgrounds. It is a country in which different races and religions stay united together in one huge society. The different races and cultures making up the Malaysian society is always one of the best attractions for one to explore when he/she visits Malaysia. In Selangor, if you want to discover more of the local culture of the orang asli, you can visit the Gombak Orang Asli Center, which will provide you with all the orang asli knowledge you desire to know. The Gombak Orang Asli Center is not hard to reach due to the fact of it being one of the most well-known attractions in Selangor. It is located near to the secondary forest, thus, when you are reaching the Gombak Orang Asli Center, you will definitely be able to recognize the center straightaway due to it being surrounded by the greenish Mother Nature. Apart from that, another factor that may allow you to distinguish the Gombak Orang Asli Center in one glance is the building structure of the center. Being loyal to their local traditions and culture, the orang asli resided in the center had preserved their building structure to remain identical as the building style they used to build their village’s houses. 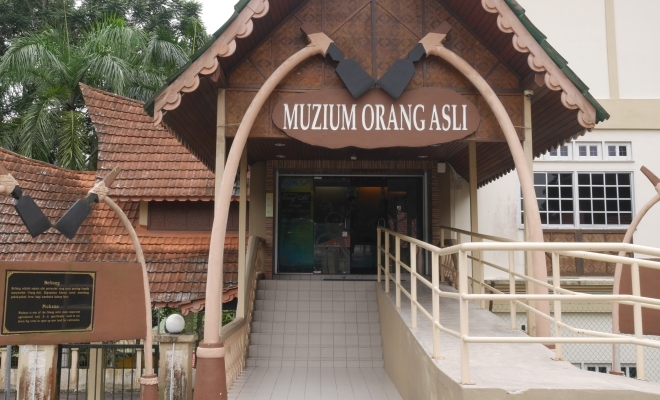 The Orang Asli Museum you can find here in the Gombak Orang Asli Center is an educational place for you to enhance your knowledge about the culture and tradition practiced by the local orang asli tribe in Selangor. Here, you will be able to witness the different items, equipments, and clothing used by the orang asli in the past, and in the present. You can find various types of jewelry, figurines, masks, and a lot more that you would not be able to find in your own home country. Besides, the Orang Asli Museum also contains house designs used by the orang asli in Selangor. Thus, you will be able to enhance your knowledge on the different unique building designs created by the Selangor orang asli. Perhaps, these designs could even serve as an inspiration for you to design your own house in the future! If you want to purchase any souvenirs back to your home town to be kept as remembrance or as future reference, you can head on to the Craft Shop located in the Gombak Orang Asli Center. All the items being displayed and sold in the Craft Shop are created using the local crafting skills of the local orang asli in Selangor. Thus, these unique crafted materials can be a worthy decoration in your room, containing all the meaningful and fruitful experience you had spent in Malaysia.